The blockchain technology is still evolving. So, for now, it is dense, messy and not very much clear for the people in general. Although techies have their own opinions but it has got nothing to do with the thought process of a common person. For them, blockchain technology is still a shiny object that needs to be decoded in order to know more and more about the technology. The Blockchain is the technology for tomorrow and it is rising day-by-day helping geeks to learn more and more about the new technology. The existence of blockchain has given a whole new meaning to bitcoins and to the mode of a new digital transaction. Well, the concept is an innovative one, we would like to invite you on a journey to predict the potential blockchain technology holds. Blockchain and cryptocurrency together make room for decentralized transaction leaving no room for middlemen to get into a blockchain transaction. The transaction happens directly between the service provider and the one taking the services making it extremely affordable to both the parties. Till date, Government and other bodies in force have functioned via centralization. Such a system gives room to organizations in middle, making their rules and taking the advantages for providing a similar function. We can now make use of the bitcoin technology to enable highly functional decentralized entities such as bitcoins. Life insurance, for example, in the future can be offered by decentralized structures helping buyers to save a huge amount of money by not involving the middleman in the transaction. A number of decentralized firms have already started funding a list of real-world decentralized companies. Augur is one of the markets that work on predictive analysis decentralized prediction. Another example includes Openbazzar, decentralized peer-to-peer marketplace that helps users buy and sell freely in order to earn the bitcoin. This way decentralization is going to be very prominent in the future. The recent Segwit2x Debate that could possibly result in a hard fork November 18. This is one of the latest examples of threats to the bitcoin that could possibly result from governance by exit. The Balkanization of bitcoin won’t be a good thing for the blockchain technology. 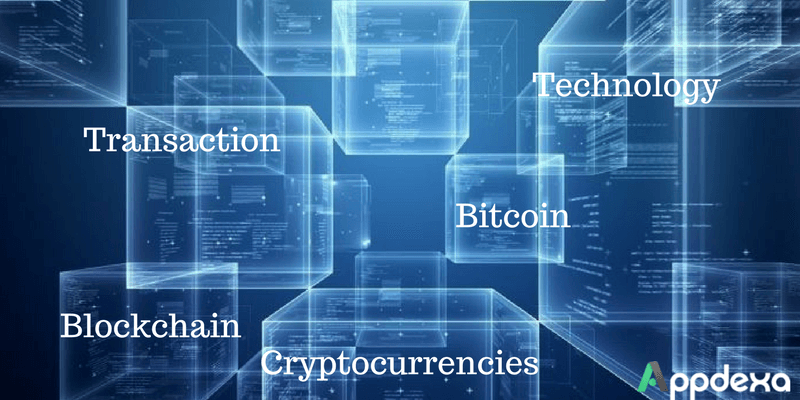 Blockchain is a distributed ledger wherein cryptocurrency transaction are recorded. The distributed ledger means there is no scope of failure in the transaction. Even if the nodes on the network fail, it neither impacts the entire network, not the information. Therefore, no information is lost even if the nodes of network fail. One of the best features of this distributed leader is, the data cannot be changed and this limits the possibilities of internal fraud. Once a transaction is finalized, it cannot be reversed. Once the blockchain transaction is done there is no way to getting the money back. For example, if your child spent a fortune to buy a new game based video game and made the transaction the money is gone. There is no centralized authority to get a refund or get the refund from anyone. It is very easy to get started with the blockchain wallet. All that user need to do is to download the software for free and get started to receive and send funds immediately. No requirement to open the accounts or getting into the required documentation. Blockchain transaction can be accomplished immediately in order to transfer the funds from a location to another. Distances really don’t matter when you are doing transactions based on cryptocurrencies. Cryptocurrencies are free from political influence, which fluctuates as per the market trends. This makes the currency a great value to those who do not trust the central authority. As the money value fluctuates as per the market value, it becomes a great investing tool for the investors and speculators alike. A mobile app that allows users to trade in bitcoin for having services and goods from them. Users, from their mobile devices, can initiate their blockchain payment to send the bitcoins in any part of the world. Another bitcoin mobile application that encourages users to trade in bitcoin. The trading is done in a digital marketplace that takes the user experience to a new level. Since it is an app, users can access the website through their mobiles, tablets and desktops as well. How Can Blockchain Help Mobile App Developers? P2P payment platforms are going to be the foundation of digital payments in the future. Blockchain, on the other hand, can help the developers to consider the technique as the required standard for encryption and privacy in the application. 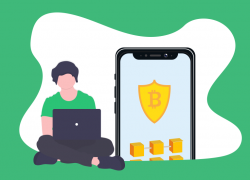 Of course, the use of blockchain technology in this way will take some time but developers are constantly working to embed the goodness of blockchain and bitcoin transactions in the pre-existing mobile app development services. Blockchain in the mobile app development can be the BIG thing for developers. As the cryptocurrency has already been generating profitable business for professionals, the investors, and speculators are equally interested in getting their fair share of profit from the same. Additionally, the flexibility of cryptocurrency along with a decentralized ledger is one of the benefits that users are liking the most about the same.